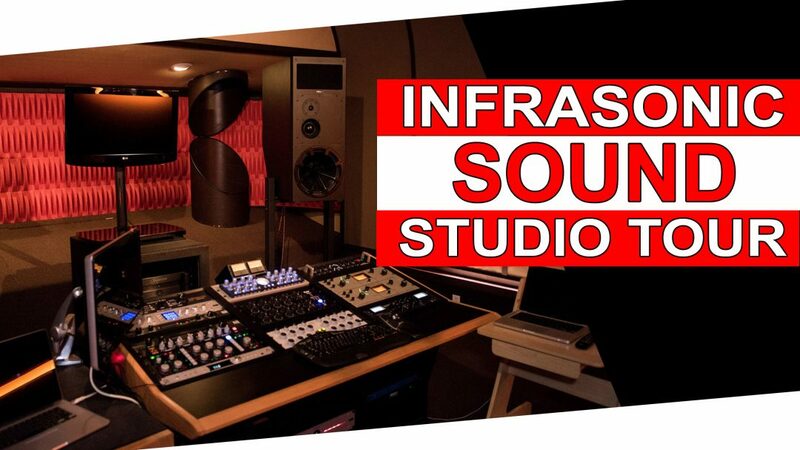 Infrasonic Sound is a mastering studio owned by Pete Lyman and operated by himself and fellow engineer Dave Gardner. The studio first opened its doors in Los Angeles 14 years ago and has recently expanded to a second location in Nashville, where we met with them. I had the opportunity to speak with Pete and Dave and tour Infrasonic East after they hosted a post-NAMM party at their studio the night before. I rather selfishly “DJ-ed” some of my favorite records through their system for part of the night and realized just how beautiful their room sounds! Infrasonic specializes in audio and vinyl mastering. Over the years, Pete has worked with a variety of artists, including Jason Isbell, Weezer, Panic! at the Disco, and Chris Stapleton. The latter’s 2016 release, Traveller, won a Grammy for Best Country Album. Pete also mixed and mastered Jason Isbell’s 2015 record, Something More Than Free, which went on to win a Grammy for Best Americana Album. When Infrasonic welcomed Dave to the team in 2012, he brought decades of experience with him as the former founder of Magneto Mastering in Minneapolis. He’s mastered projects for the likes of Rocket from the Crypt, Hot Snakes, and Black Lips, to name a few. Both Dave and Pete are tremendously talented mastering engineers. Though their respective workflows are slightly different, the two share similar sonic aesthetics which makes working together a breeze. One of the most interesting pieces of gear at Infrasonic in Nashville is a 1956 Neumann AM32B record cutting lathe. The unit originally belonged to RCA, who purchased it in 1957. Richard Simpson, Pete’s mentor and former RCA engineer, moved with the unit from New York to California to run a new mastering room in the early ’70s. When Simpson retired from RCA in the ’80s, the company offered him the Neumann lathe as part of his retirement. CDs were the “way of the future” at the time, and record cutting had gone completely out of style. Since then, Pete inherited the AM32B lathe from his mentor and spent the past few years rebuilding and restoring it, making modern modifications along the way. Infrasonic in Los Angeles recently sold its incredible vintage Scully lathe, opting to keep just the Neumann for recording cutting, which we were able to talk about in some detail. We thoroughly enjoyed spending time with Pete and Dave, touring Infrasonic East, and taking a look at some of their incredible equipment. If you’d like to take a closer look at Pete and Dave’s other mastering room out west, please check out this interview and studio tour from 2016!